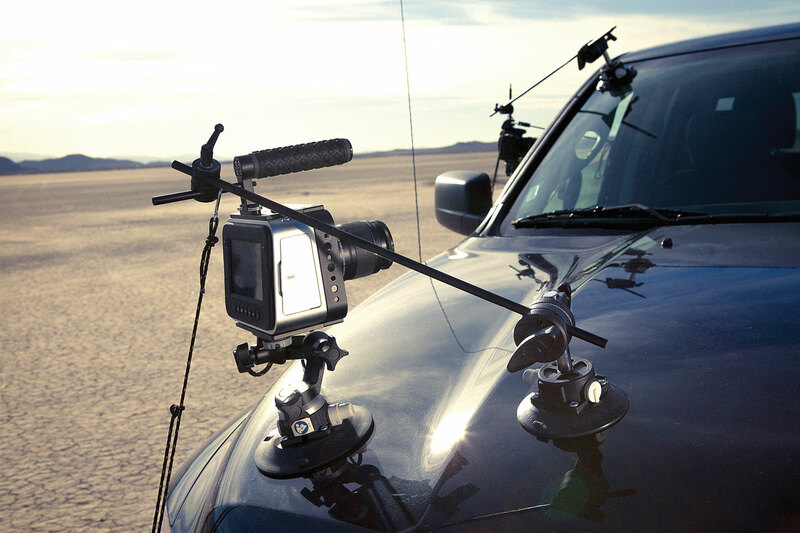 Matthews Studio (MSE) has just announced its first shipment of their newest support product – the IndieMOUNT Car Rig will go out in the next few weeks. 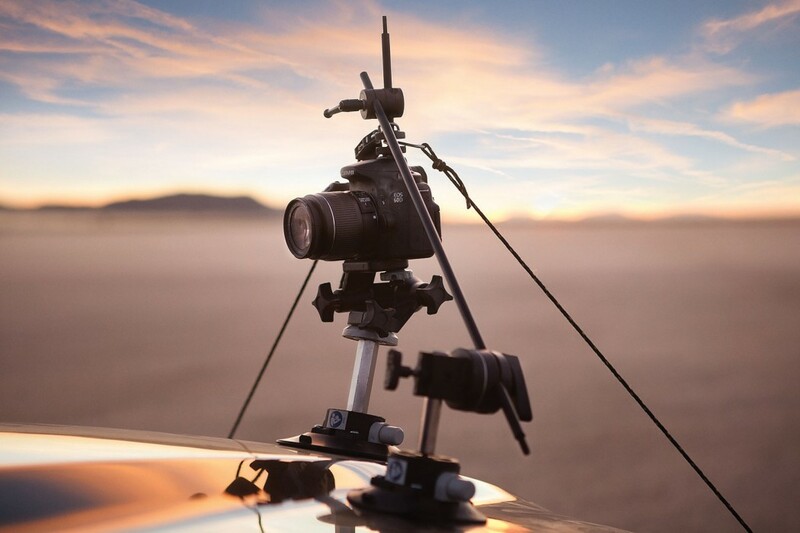 The IndieMOUNT has been designed as an affordable solution for mounting smaller camera packages such as DSLRs, HD, Small ENG and Action cameras to moving vehicles. The system uses a combination of MSE’s MicroGrip tech with Vacuum Cups, an articulating camera mount and the company’s quick strut triangulating system. The new quick strut system is designed to maximize system stability and safety, with struts that always stay tight, despite the fact that your camera is hanging off a moving vehicle. All you need do is to mount the main 6” Cup with articulating camera mount, mount the camera, frame the shot, add the support cup and arm, secure the struts and you’re ready to shoot. MSE have not listed a price as yet for the IndieMOUNT, but we’ve enquired and rest assured once we hear back from the company, we’ll update this article with its cost. It is expected to begin shipping before the end of the year. **UPDATE** We’ve heard back from MSE the pricetag is US$449.00. ONE OF THE BEST THINGS ABOUT BEING A FILMMAKER IS GOING TO NEW AND EXCITING LOCATIONS, WE HAVE PUT TOGETHER 5 TIPS TO MAXIMISE YOUR NEXT FILMMAKING TRIP.